Following Prime Minister Abiy Ahmed’s call, a number of exiled political parties have returned home and received a warm welcome by supporters and government officials. Considering the large number of registered political parties already at home and the fact that the country has not yet built an accommodative multiparty system and political space, it remains a puzzle how the country would go about democratic reforms. 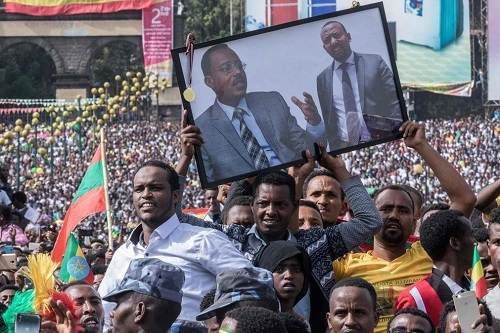 According to the Electoral Board of Ethiopia, there are about 75 registered political parties, of which, some are not active and have no wide public support, most of them mushrooming during times of elections. However, experts argue that the presence of various inactive and non-contesting political parties prevents the public’s chance of having well articulated alternatives towards choosing the best. Approached by The Ethiopian Herald, political parties and experts agree that a diversified country like Ethiopia must pursue multiparty democracy as the best option in order to entertain and reflect political and social stances of the people through political parties. The mushrooming of numerous political parties, some of them without even having any formal organizational structure, ideology and public support narrows the chances of genuine parties to receive public acceptance. This, in turn hinders the public’s chance of having clear alternatives to choose the best party, as to political experts. Ann Fitz-Gerald, Professor of International Security Management at Cranfield University in the UK, says the practicalities of government developed in the West in the 19th and 20th centuries required a system of representative bodies, parliaments, other organs of state power and, most importantly, the organisation of political parties in order to make democracy function. Political parties were particularly important as they provided forums and platforms for like-minded individuals to pool their ideas. “Their voting powers were also used to influence the legislatures and, in some countries, the executive arm of government in ways which represented the common interests of party members,” Ann says. Assuming that there are many and varying opinions on several different subjects, the concept of a political party is a compromise between ‘like-minded’, but not necessarily the ‘same-minded’, individuals. In Ethiopia, the ideological divisions are less pronounced than they are in multi-party systems in the West, she adds. Public Policy Professor at Addis Ababa University, Costantinos Berhutesfa on his part adds that a multiparty system is one where multiple political parties exist and have a chance of leading the government. In a multi-party system, many parties will promise the electorate that they will defend peoples’ rights, advance the economy and protect the citizenry against external and internal aggression much better than their competitors. Whereas, Prof. Costantinos underscores that the ruling party’s Revolutionary Democracy insight is the single most important influence over how democratic transition has been conceived, initiated and was constitutionally formalised the politics of ethnic self-determination and self-government. 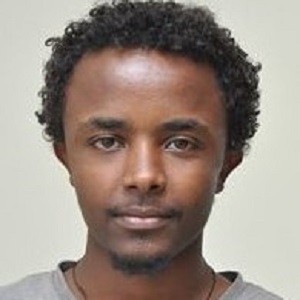 Belete Molla, Vice President of National Movement of Amhara (NAMA), a party established last year underscores the importance of a multi-party system as it is a must and crucial for a country like Ethiopia to accommodate diversities. “If we want to build a democratic system, first we need to build a genuine multi-party system. Yet establishing [many] political parties for the sake of getting aid from abroad [will not take us anywhere],” Belete points out. There are political parties established along family lineage and, that do not have members and as to him. They are created and financed by the ruling party for some kind of political gain. Thus, in one way or another, genuine parties have been negatively influenced by these parties without base. Belete states that to strengthen the multi-party system, political parties with similar ideology should merge together, form a forum and hold deliberative discussions. The electoral board should be independent and free from any political motives, the Vice President adds. Electoral Proclamation as well should be amended through discussions and consultation with political parties. Furthermore, Oromo Liberation Front (OLF) Central Committee Member Kejella Berdassa shares the idea that multiparty system is a must for Ethiopia due to the prevalence of diversity. In addition to this, he as well admits that there are a number of parties that share the same ideology but are unable to form a united front because of differences in personal interests within the parties. Thus, it is better to have parties that can be competent enough and for this to happen parties with similar ideologies have to be able to stick together as one. In this regard, Kejella also noted that OLF is working with like-minded parties such as the Ogaden National Liberation Front (ONLF), Bensihangul Liberation Front, Gambella People Liberation Movement and Sidama National Liberation Front, to come together as one and form a front. With regard to the Electoral Proclamation, OLF has been reviewing the proclamation along with other parties and will be sending a new proposal to the Electoral Board. Tilhun Endeshaw, Ethiopian Social Democratic Party Deputy Chairperson, on his part says that the multiparty system in Ethiopia is still evolving as it has been for long at infant stage. Yet, some political parties, though stifled with a bad political platform, have been trying their level best to be competitive, whereas, others do not fulfil parties’ status yet supported by the ruling party. Tilahun argues that following the reform, the political platform is better than that of the previous one, and there seems to be a bright future. However, that does not mean that the ground is fertile for a multi-party system. He seconds Belete’s stance that having countless parties won’t help the multi-party system, rather parties should focus and come up with alternative agenda that can win the hearts of the people. It is because many parties share the same ideology so that they can come together as one. Tilahun says his party, which has 50,000 members and is under the Medrek (political coalition), is now working to merge with other parties with similar ideology.